30 Rock’s Liz Lemon (Tina Fey) and Jack Donaghy (Alec Baldwin) couldn’t feel more differently about life in Manhattan. Of the many divides in their unlikely friendship, their polarized views of Gotham are only second to their respective dating choices in fueling their prickly Mary-and-Lou dynamic. Liz might have a fancy, lucrative job as a television writer, but she’s still just a modest straphanger living in a metropolis that can be as irksome as it is energizing. 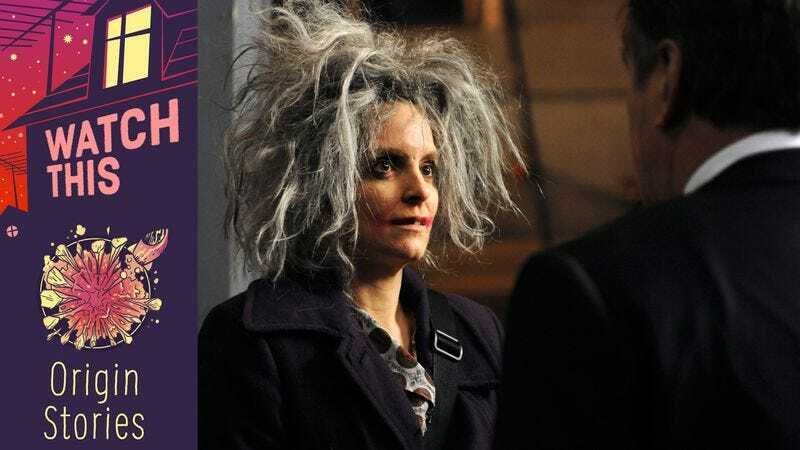 Life in the big city can kill your mental health with a thousand tiny cuts, and in the first moments of the 30 Rock pilot, Liz is seen railing against line-cutters at the hot dog stand. There’s only so much a girl can take. As a proud one-percenter, Jack has had a completely different NYC experience. His cloistered Upper West Side existence shields him from most of the city’s indignities. “I haven’t been above 72nd Street in over a decade,” he says in one episode. Jack has no reason to dislike Manhattan until “The Tuxedo Begins,” which begins with Jack getting mugged while he’s distracted on a phone call with Liz. (She takes his silence as permission to prattle on about Real Housewives.) A shell-shocked Jack confines himself to his office, and when Liz finds out about the mugging, she thinks she finally has enough evidence to convince him that Manhattan’s streets are strewn with litter—not because New Yorkers discard trash, but because they are trash. Instead, Jack is inspired to run for mayor and return the city to its former glory. He’s not demoralized, he’s galvanized. Meanwhile, Liz is more pessimistic about Manhattan than ever until she stumbles on a terrifying strategy. She borrows her sketch show’s crazy-old-lady costume, smears some lipstick across her face, and carries around her putrid gym bag to drive people away. That way, she’ll get subway cars and movie theaters all to herself. It’s not long before “The Tuxedo Begins” tips its hand, revealing itself as a blended homage to Batman Begins and The Dark Knight, fusing Jack’s heroic rise from trauma with Liz’s riff on Heath Ledger’s Joker. The hero and the villain face off against each other, Jack—a.k.a. The Tuxedo—armed with his privileged optimism, and Liz armed with her ratty gray wig and cardio-funk. “Tuxedo” is among the daffiest stories 30 Rock ever told, but it’s still rooted in one of the show’s sturdiest character dynamics. Jack ultimately wins the battle, not because the hero wins by default, but because the bulk of his relationship with Liz is based on him trying to get her to see the world as full of possibility rather than peril. He’s not optimistic about New York City because he’s one of its blithe super-wealthy; he’s one of the blithe super-wealthy because he was optimistic about New York City. There’s no problem a little cunning and B-school ingenuity can’t fix. Availability: “The Tuxedo Begins,” along with the full run of 30 Rock, is available for streaming on Netflix, for digital purchase, and on DVD.